One of the most dramatic and rewarding experiences in Tenerife is a visit to Las Canadas National Park. This wonderful area is designated as a World Heritage Site. 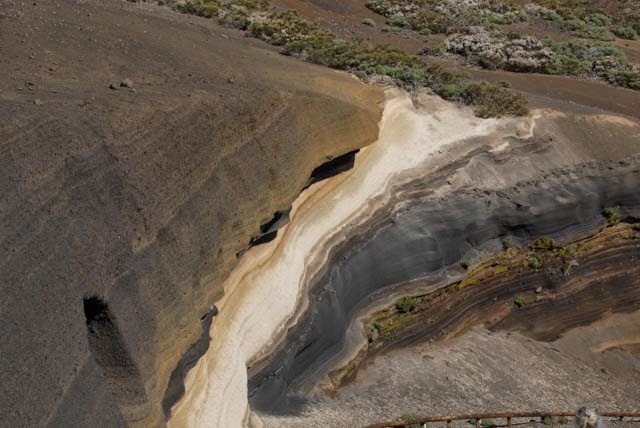 The whole park is a caldera that consists of the remains of a super volcano that collapsed nearly two hundred thousand years ago. 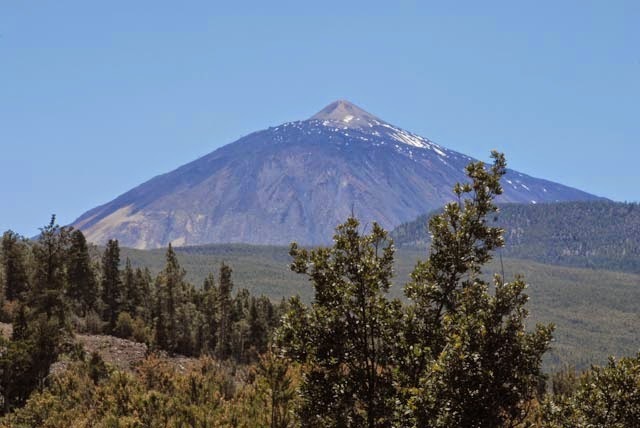 Today, we think of the massive volcanic cone of Teide as being impressive; it is the highest mountain in Spain, but it is nothing compared to the original volcano that stood on this site. A visit to Las Canadas National Park from Puerto de la Cruz starts with a drive through a large amount of suburbia. However, this can be interesting for the botanist. 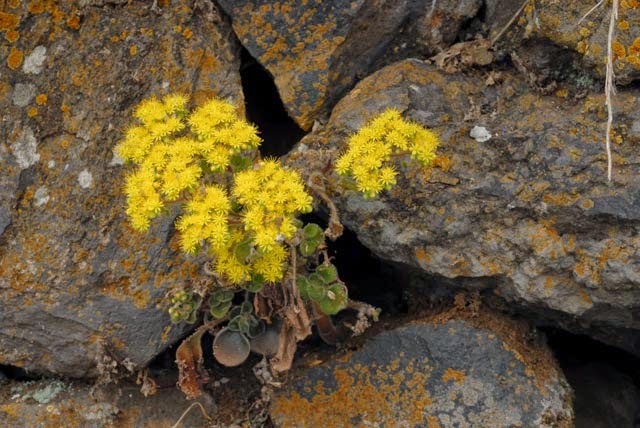 On a wall beside a suburban road, we found the Canarian endemic member of the stonecrop family, Aichryson parlatorei in excellent flower. 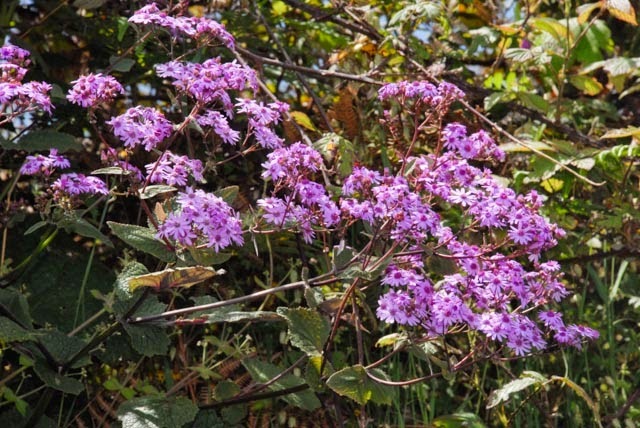 Entering the edges of Aguamanza, and before reaching the pine forest, on the roadside verge were fine examples of the beautiful, purple flowered endemic Pericallis echinata and on the same verge was the endemic figwort, Scrophularia smithii. On leaving the suburbs, the terrain begins to rise up towards the caldera through a zone of Canarian Pine Forest. The species of pine making up the woodland is Pinus canariensis and is endemic to the Canary Islands. Especially on Tenerife, it produces large areas of forest. 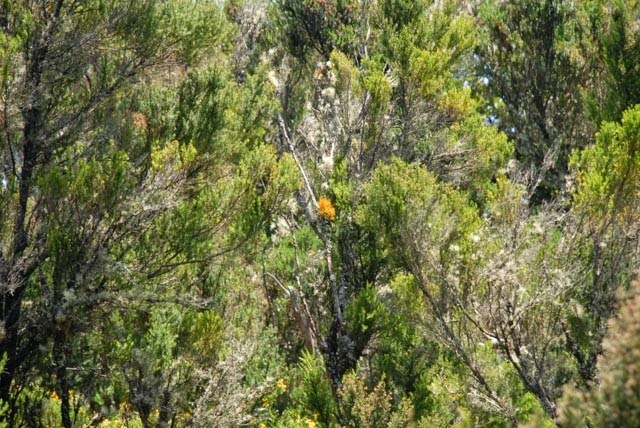 Amongst other things, this habitat is home to the delightful and endemic Blue Chaffinch. 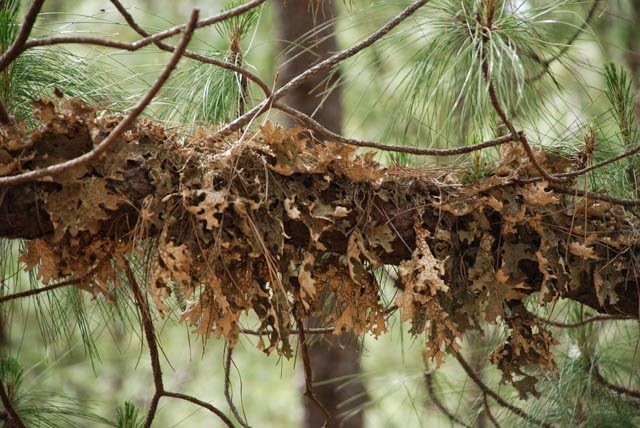 As lichens are a group that I am particularly interested in, I was delighted to see a range of species that would never grow on pine in Britain, but are doing exceptionally well on the trees here. Species included the hairlike Alectoria sarmentosa and Usnea articulata which were surprisingly difficult to separate when growing together in Tenerife. Perhaps the greatest surprises were great cabbage-like bushes of Common Lungwort Lobaria pulmonaria and the delightful, bright yellow lichen Teloschistes flavicans. This latter is particularly rare in Britain, and is particularly pollution sensitive. At lower levels, the flowering plant flora of the woodland is not rich, but as it opens out higher up, the verges especially support a wide range of species. 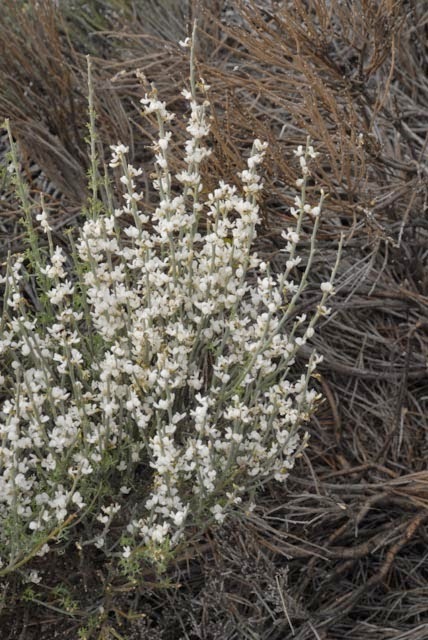 These include the almost white endemic Sideritis oroteneriffae which seems to be restricted to a particular altitude zone in the higher part of the forest. 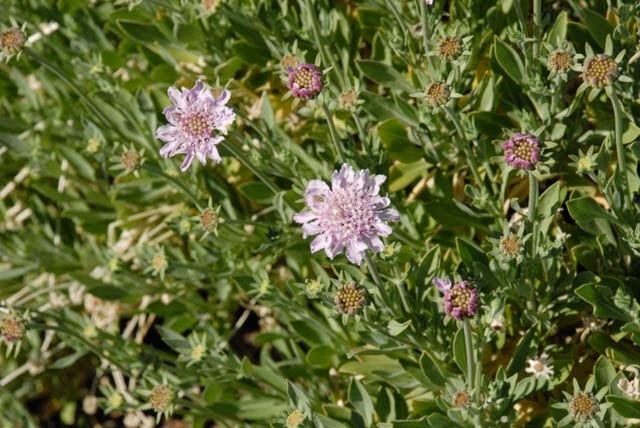 Sideritis is another of those genera that has many endemic relatives in the Canary islands. Also seen here are Aeonium sedifolium and areas where the beautiful, if introduced, Californian Poppy makes a striking show. Another rather scarce little plant from this zone is Helianthemum juliae. The distinctive black triangular shapes at the base of the petals help to distinguish it from other rock roses. 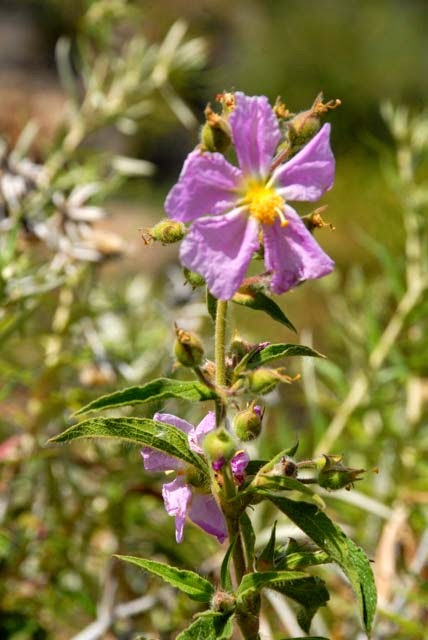 It grows amongst its much taller relative Cistus symphytifolius with its large pink flowers. 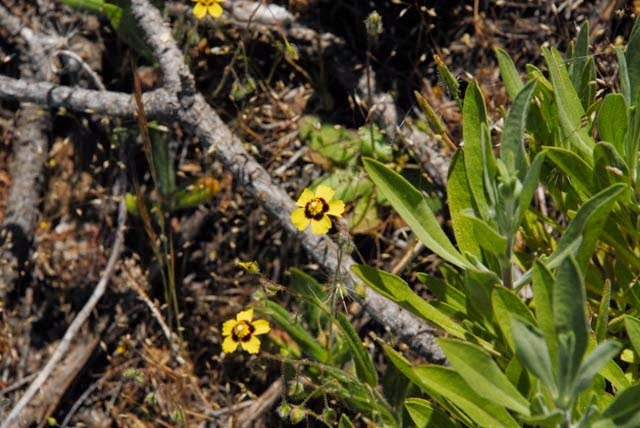 In this same area, the close relative of Cistus symphytifolius occurs, but is rare and differs only slightly. This is Cistus osbeckifolius, a species that I looked out for hard, but failed to find. Once out into the open and arid countryside of Las Canadas Country Park, the main features are the dotted, bushy clumps of species such as the white Spartocytisus supranubius, the yellow Tolpis webbii and Adenocarpus viscosus. 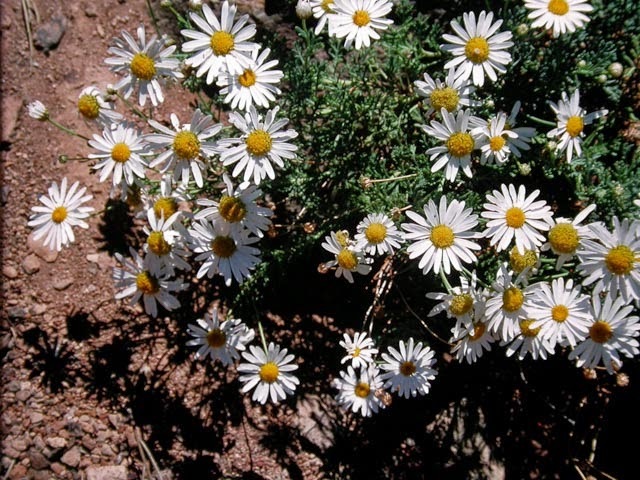 The white flowered Argyranthemum teneriffae is abundant, especially by the road, as is the scabious relative Pterocephalus lasiospermus. These are the main components of much of the flora of Las Canadas. 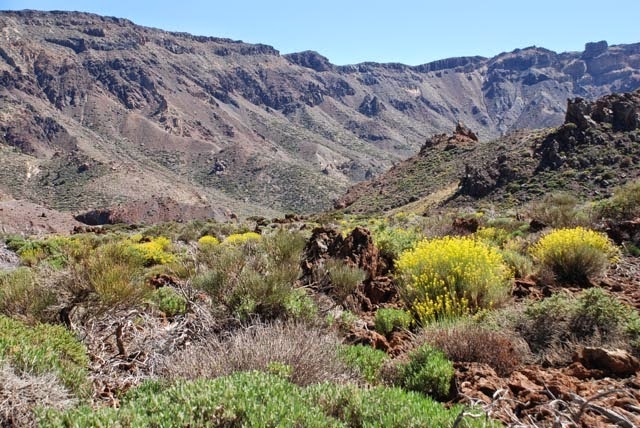 It is on approaching the base of Teide and the Parador that the most dramatic species of the area becomes such a feature. This is the endemic bugloss Echium wildpretii that is virtually restricted to Las Canadas in the world. Outside Las Canadas, and entering it from the south, it can be encountered just above Viraflor where Lotus bertelotii can be seen so well. 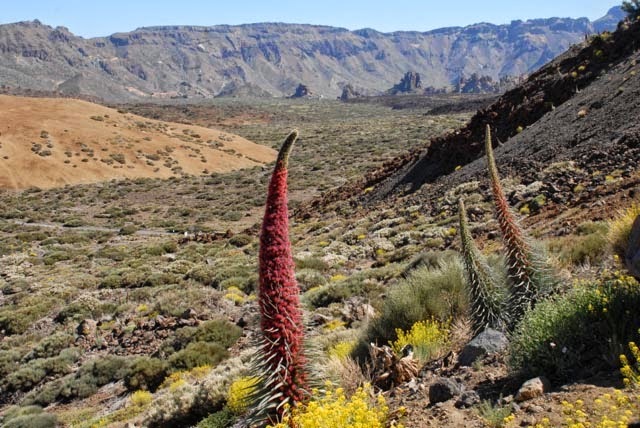 Close to the base of Teide is the real home of Echium wildpretii, where its tall spikes can dominate the arid volcanic landscape. One species I had particularly hoped to find is the endemic Viola cheiranthifolia. 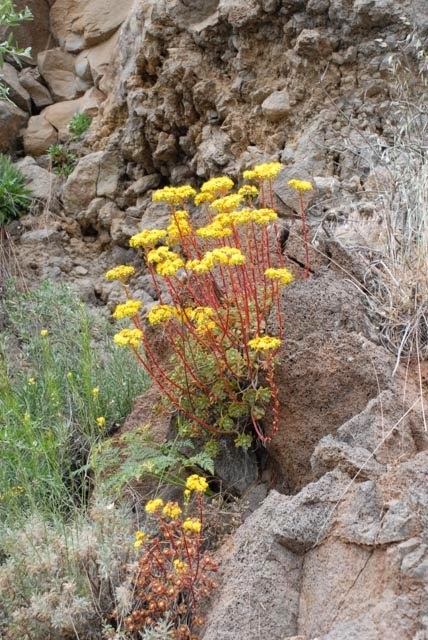 This delightful little plant grows amongst stones on the slopes of Mount Teide itself. Although I was given directions to a relatively low altitude spot where it was supposed to be, even scanning with binoculars I failed to find it. 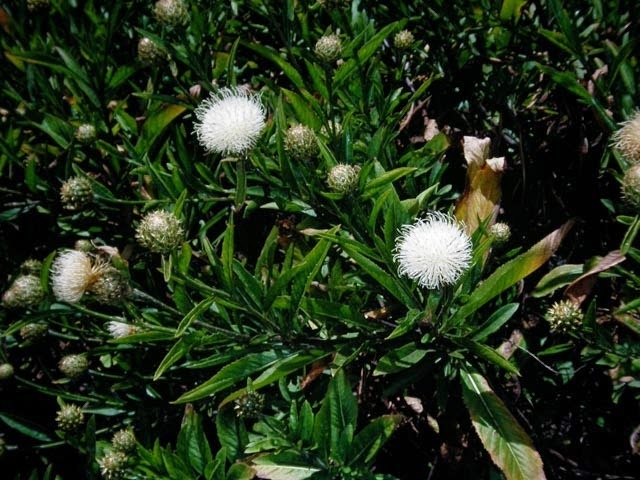 I had also hoped perhaps to see it in one of the gardens I visited, but this plant eluded me. Perhaps May is the wrong time of year for it. In the past, there were gardens surrounding the Park Visitor Centre, where a number of the endemic species of Las Canadas could be seen. 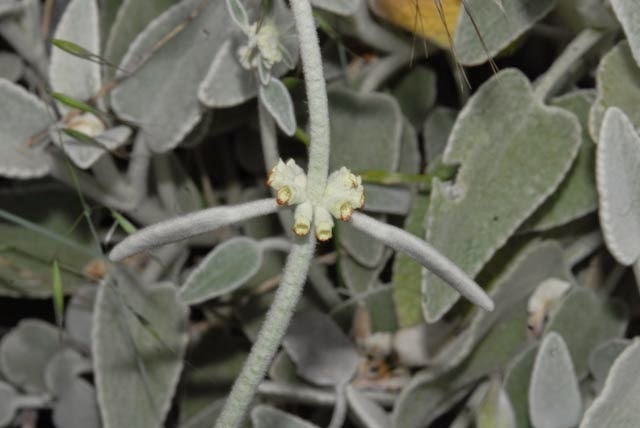 This included the rare Cheirolophus teydis with its pale yellow flowers. Cheirolophus is another important genus with several Canarian endemic species, and most are rather rare, and restricted in range. I have only ever seen this one in flower in September and October. This time I could not even see it in seed. 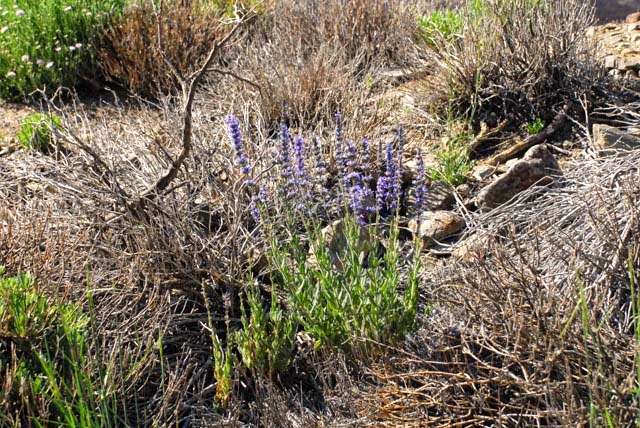 Another blue flowered endemic with a very restricted range is Nepeta teydea. 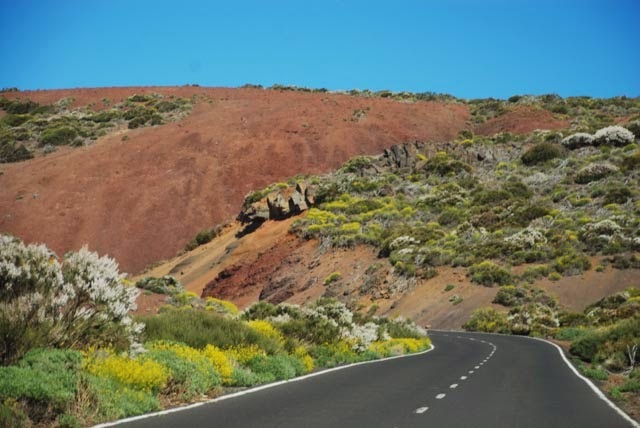 My experience is that it is restricted to a small area to the south west of Teide itself where it is easy to see on the roadside verge. 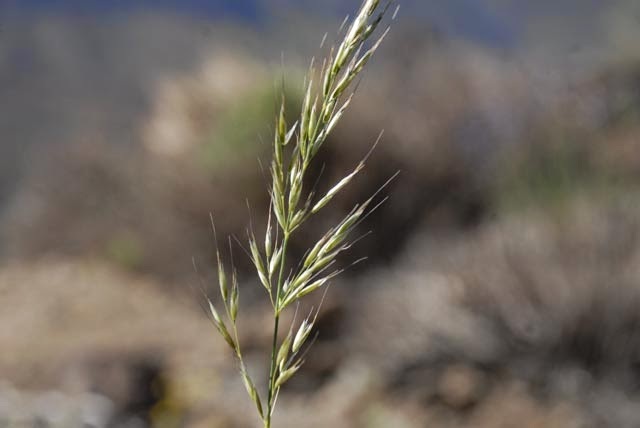 Also growing in this area is the ordinary, but endemic Arrhenatherum calderae, a relative of our very common false oat grass. This one, however is extremely restricted in occurrence. No visit to Las Canadas would be complete without a chance to marvel at its volcanic splendour. At 3718 metres (12198 feet) Mount Teide is a high, and impressive mountain. At this altitude, it frequently retains snow on its upper reaches well into May. It is possible to ascend the mountain by cable car. More often than not, the view, although majestic, is a sea of white cloud far below, out of which emerge other members of the Canarian archipelago. 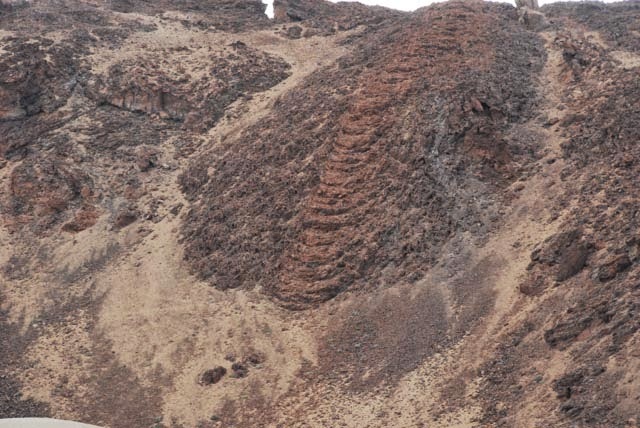 Beneath the summit can be seen Teide’s Nostrils. 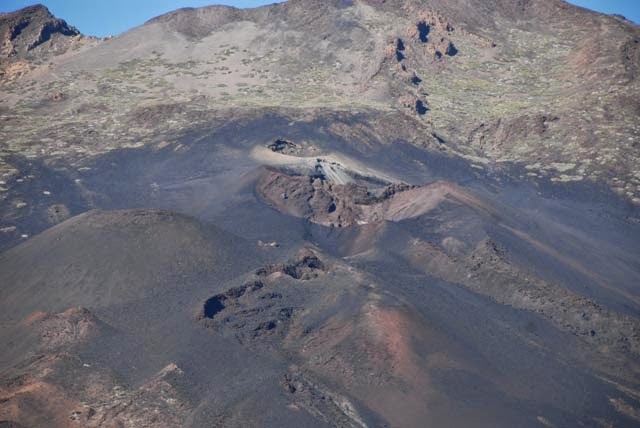 These are the result of an eruption that was witnessed by Columbus as he sailed past Tenerife in the 16th century. The last eruption took place in 1909, and during one eighteenth-century eruption, the harbour of a fishing village (Garachico) on the north coast was dramatically filled with larva. 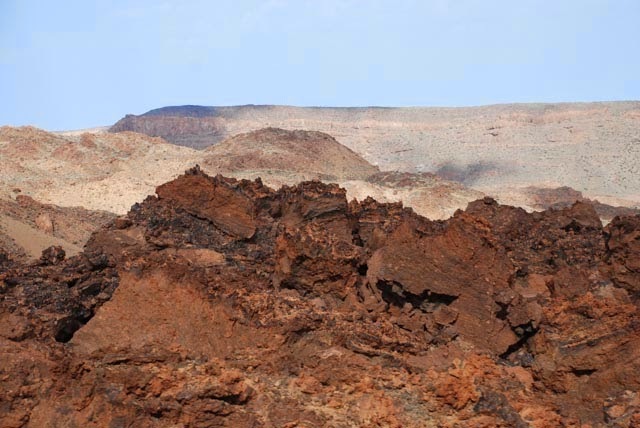 Two features of particular importance are the dramatic lava flow that can be seen from the road close to the base of Mount Teide. A convenient car park allows the visitor to enjoy fine views of it. On leaving Las Canadas on one of the major access roads that heads to La Laguna, the road passes by a spectacular series of layers of ash ranging from white to almost black. 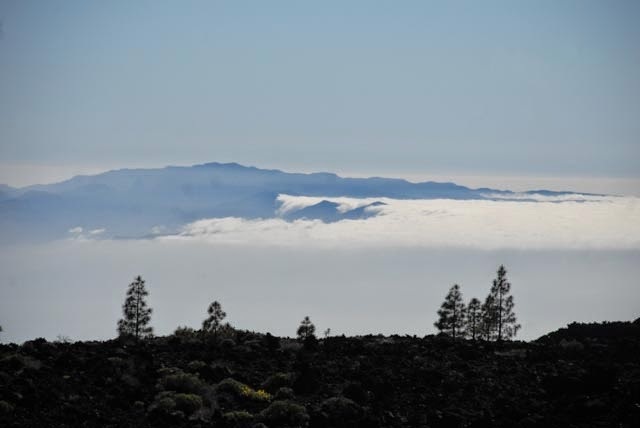 Once again, there is a convenient car park here, and in suitable weather, which is frequent, the island of La Palma to the west can be seen rising from the surrounding cloud bank. One feature of Canarian weather seems to be that the Anaga Ridge, and Puerto de la Cruz are frequently smothered in cloud while Las Canadas National Park rises majestically above it.